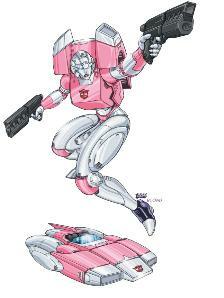 Odd Girls Out: What Happened to the Original Female Autobots? Yes, I know that by now most see me only writing to Marvel Comics with complaints. Thing is, I’m flexible. So this letter is for you guys. Don’t worry, I’ve still got plenty to talk about with my friends at Marvel Comics, but that doesn’t mean that I have to ignore you guys. This letter, therefore, concerns the often forgotten Female Autobots. 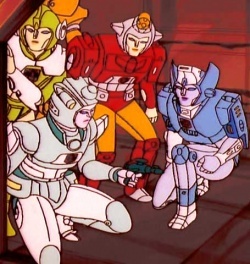 In the original series we saw five Autobot Amazonian warriors: Elita One (Optimus Prime’s counterpart and romantic interest), Chromia (a veteran lady who was a match for Ironhide in combat and in dating terms), Firestar, Moonracer, and Arcee. Of these five, however, Arcee alone has had the most screen time (and the most positive rap in both the comics and the TV shows). 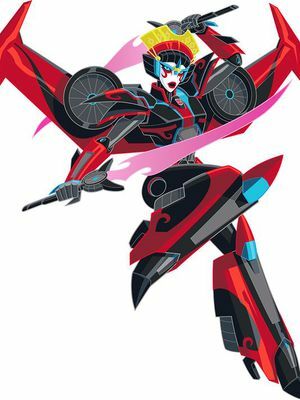 Elita One last appeared on television in Transformers: Animated, and in that series she was an Autobot in flashbacks only. The rest of the time viewers saw her she was the Decepticon fem fatale Blackarachnia. 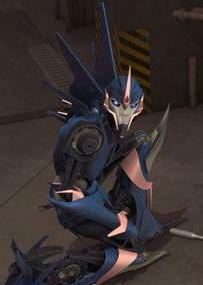 On that point, there have actually been fewer Decepticon females than there have been female Autobots. Think of all the missed plot points there, fellow writers! Why, if I may, has Arcee been the only member of this quintet to return to the screen in a favorable light? 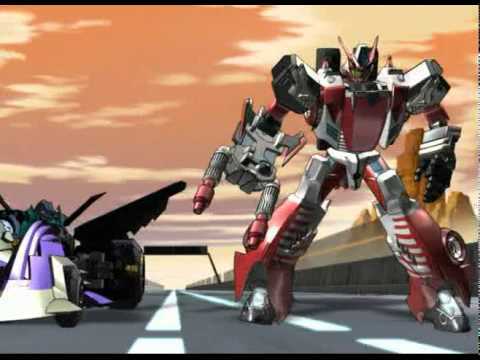 Wouldn’t it be, as one young Autobot likes to say, “Epic” to have Elita One and Optimus Prime fighting side by side onscreen again? And what about having Ironhide (if he ever returns to television in the near future) and Chromia fight back to back while trading veteran banter? A cool exchange of quips with Decepticon flak flying overhead would be both tension-relieving and testaments to their long careers in the field. And what about Firestar and Moonracer? 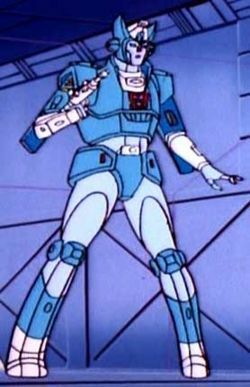 The latter Autobot was an inexperienced fighter in the original series, with an aim that would make Hawkeye proud. 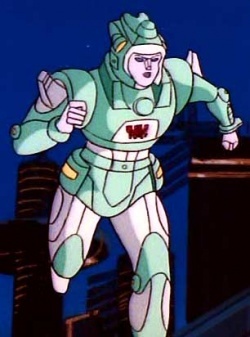 Little else is known about her except that she and Powerglide were an item at the time, and years before. 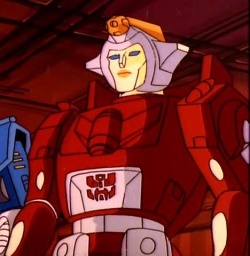 Even less is known about her compatriot, Firestar, who was partnered with the Autobot firefighter Inferno. As he fondly recalls at the Female Autobots’ new base in the original series, “We put out a lot of fires together.” Wouldn’t that be a relationship to explore? I’m not saying that Arcee needs to be dropped from the show line. Far from it. I’m suggesting that she should have female equals on the team. 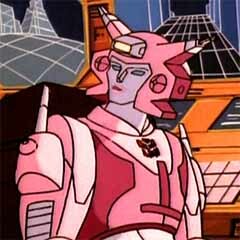 Arcee’s a fine character (especially when she’s not PINK), and she deserves her screen time. But don’t the other girls deserve a good showing on the television screen, too? After all, they came to the scene first. Shouldn’t they get the same amount of viewers’ attention as Arcee, their ‘younger sister’, if you will? Odd girls out or girls’ day in. I, for one, vote for Girls’ Day In. This entry was posted in Transformers Characters and Stories and tagged Arcee, Chromia, Elita One, Female Autobots, Few Female Autobots/Decepticons, Firestar, Ironhide, Moonracer, Optimus Prime, Transformers Characters and Stories on June 1, 2013 by The Mithril Guardian.